I was deciding on a figure to do for my first review when the idea came to me to review one of my most anticipated items of last year, Saber Lily by Volks. 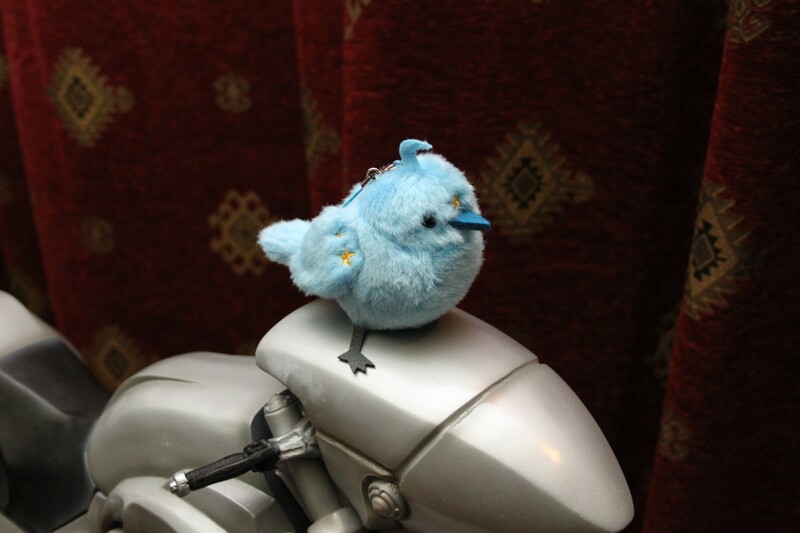 From what I've seen it's fairly rare to come across a review of a Dollfie. I hope to show you a DD in a little more depth than you might usually see! I have taken a fair amount of photos to illustrate this review. I haven't shown her without her armour on, as it takes ages to take off and put back on. I will start with the first thing that is seen - the box. Obviously, it's huge. Dollfies are 1/3 scale, which makes them 60cm(23.6in) tall. The box is in two parts, a thick outer sleeve and an inner box. To access the inside, you have to pull the sleeve upwards and off, similar to the BRS Blu-ray limited set. It is strong and I don't think there is much chance of damage occurring in transit. This kind of box is actually not standard amongst Dollfies, with the standard ones coming in a bright yellow, thin box, which I dislike. However, this clearly isn't the case here. Saber figma helping me out with scale! Inside the box, Saber is sealed inside a plastic bag and tied to the backing cardboard with fabric ribbons with come undone with one pull. No plastic ties here. The pieces of armor are in individual cardboard boxes, and each little piece of armor is wrapped in a plastic bag. The wig is in its own separate little box, kept safe by a black hair net. I'll start with the weapons here, and move on to the Saber herself. 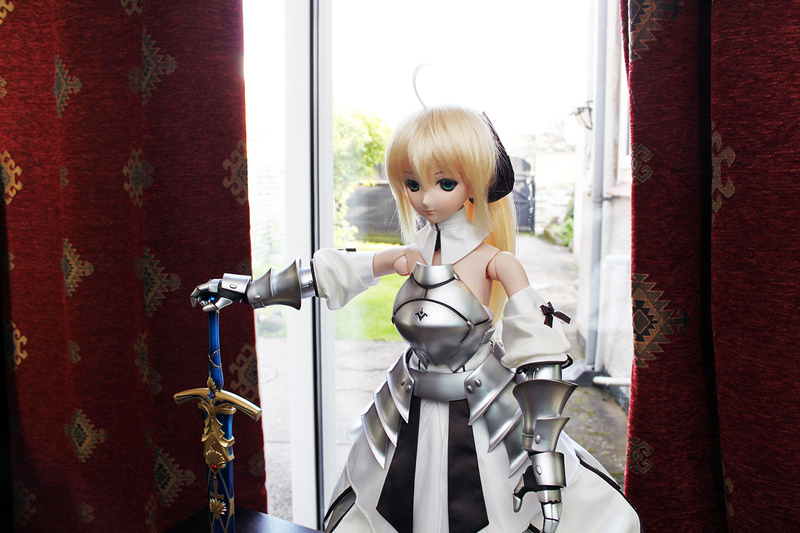 Saber Lily only comes as standard with her sword Caliburn. 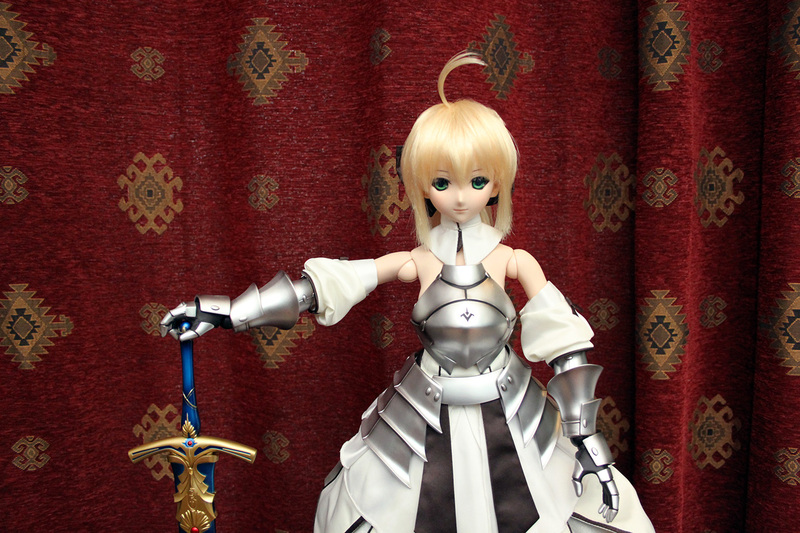 She also has available for purchase her other sword, Excalibur, with its sheath Avalon. The details on these are insane. Every single aspect of the swords that you see from the visual novel and anime is sculpted. There is no cheating going on here, such as painting on details. They are large enough to pick up and hold like daggers! Of course, the swords cost the same as some 1/8th statues, so you would hope they are good quality. Make sure to click the pics if you want to see more detail. As for Saber herself, the armor and the doll are entirely seperate. Like most dolls, the clothes can be worn and removed. The breastplate is a real breastplate, the skirt armour hangs from her belt, and the leg and arm armour are all sculpted and can be worn and removed. The exception are the hands and feet, which have to be taken off and replaced with unarmored versions that are also provided. The armor is very sharply detailed, and as with the weapons, every little aspect is sculpted accurately including tiny hinges where her gauntlets would come undone. The cloth parts of Saber's clothing are exquisitely made, with very fine stitching and high quality fabric used throughout. I can't spot any mistakes here. Look at this ribbon! Now for the most important part - Saber herself! Dollfie faces have come a long way over the years and many would agree that Lily has one of the best. As you can see there are no defects whatsoever, with a perfectly smooth and well sculpted face. Dat ahoge. How does it stay up? Why is it so good? I won't use any photos here as you can look back at the previous photos to see paint quality. Suffice to say, everything is painted perfectly. The weapons are beautifully done with gloss paints used to add a classy feel to the hilts and there is no running or overlap anywhere to be seen. The armor is the same, with the engraved lines lined perfectly with black paint. As for Lily herself, being a doll, she is not painted other than her face. Volks paint their Dollfies faces by hand in Japan. Again, no problems here. As well as her lips, her cheeks are lightly blushed and her eyebrows are well drawn. Dollfies do not come with bases. 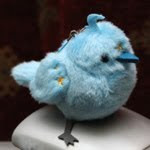 Mine has one by coolcat, which I won't mention too much as I bought it separately. Dollfies can stand up by themselves (I've had Haruhi standing up for a few weeks by herself) but I seriously recommend getting a base of some description. Being a Dollfie, there is a wide range of posability. She can stand, sit, wield her swords, or do almost anything else you want her to. However, this is an area that is not perfect. The Dollfie body is limited and unable to perform certain poses. The stock body has trouble looking upwards any significant amount, and the arm joints are not strong enough to perform dynamic poses with her weapons (which are admittedly very large). When holding the swords her arms have a tendency to slowly drift downwards. Overall the posing is great but not perfect. She comes with an A4 pamphlet explaining how to dress her, which can look pretty intimidating at first! Her large size really makes her stand out and this is a great centerpiece for a collection. The retail price was ¥95,000 and it was only available via Lottery. I did not enter the lottery, but instead got one via a middleman from Dolpa for ¥200,000.